Mani del Sud combines the highest concept of craftsmanship with modern design. 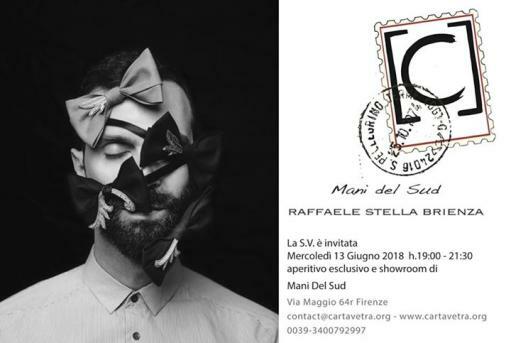 The bow ties symbolize the love of designer Raffaele Stella Brienza for fashion and art, constituting a central role within the brand and its creative vision. Made of fine fabrics and meticulously hand-stitched, the Mani del Sud papillon are characterized by metal watermarks that can be personalized in shapes and color ranges. Raffaele Stella Brienza to fashion, art and design, acting as protagonists of his vision. All bow ties are hand-sewn in premium fabrics and adorned with metallic filigrees, providing the possibility of customizing multiple styles and colors, creating high personal accessories.